The aloe vera plant has thick, succulent, fleshy leaves that contain a clear gel used for medicinal purposes. Traditionally, it was thought that the aloe gel from the leaves of Aloe vera could only be used for minor cuts, burns, and sunburns. Aloe is made of up 99% water along with glycoproteins and polysaccharides. Glycoprotiens and polysaccharides treat cuts and burns by stimulating the immune system. These compounds inhibit the dilation of blood vessels and the contraction of smooth muscles which allows cuts and burns to heal faster (Aloe). However, recent research has found a variety of additional uses for the aloe gel, one of which is acting as a laxative. Aloe acts as a laxative because it contains anthraquinone glycosides Aloin A and B. Aloin increases peristaltic contractions in the colon, which induces bowel movements. Additionally, Aloin prevents the colon from re-absorbing water from the gastrointestinal tract which will lead to softer stools (Aloe Vera). The activity of A. vera inner gel against both Gram-positive and Gram-negative bacteria has been demonstrated by several different methods which showed that Aloe vera has antimicrobial properties as well. Anthraquinones isolated from the exudates of A. vera have shown wide antimicrobial activity. The antibacterial activity of emodin against Escherichia coli was proposed to be mediated through inhibition of solute transport in membranes (Hamann). In addition to traditional uses, many patients take aloe orally to treat a variety of conditions, some of which include diabetes, asthma, epilepsy, and osteoarthritis, and psoriasis. However, these more recent uses of aloe need to be further researched. Because aloe is a laxative, side effects may occur. Taking too much aloe can cause diarrhea and gastric upset which dehydrates the body and depletes potassium levels. This occurs because the large intestine isn’t absorbing enough water and electrolytes which leads an increase in watery stools (Adams). Some patients may also experience an allergic reaction to aloe. The risk of having an allergic reaction is higher in those who are allergic to onions and/or garlic. Women who are pregnant or breastfeeding should abstain from using aloe because it may lead to uterine contractions. Women who are pregnant or nursing should not consume ACV because not enough is known about its safety (Low Potassium). Adams, Mike. 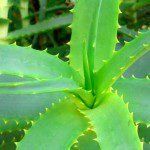 “The aloe vera miracle: a natural medicine for diabetes, inflammation, IBS, and other health conditions .” Natural News. (2007): n. page. Web. 18 Jun. 2012. Aloe Vera. National Center for Complementary and alternative medicine, 04 2011. Web. 18 Jun 2012. Hamman, Josisas. “Composition and Applications of Aloe vera Leaf Gel.” Molecules. 13. (2008): 1599-1616. Print.